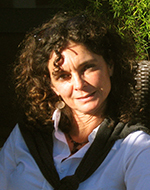 Odile Cazenave is Chair of Romance Studies and Professor of French at Boston University. Her research interests focus on the impact of age, gender and location on the writing and reception of postcolonial literary and filmic narratives in French. Her publications include Afrique sur Seine. Une nouvelle génération de romanciers africains à Paris (L’Harmattan, 2003) and Contemporary Francophone African Writers and the Burden of Commitment (University of Virginia Press, 2011, co-written with Patricia Célérier). She has recently co-edited, with Célérier, a special issue for Présence Francophone on Twenty Years After: the artistic post-genocide production in and on Rwanda (Présence Francophone 52, December 2015). Emmanuel Bouju is Professor of General and Comparative Literature at the Université de Rennes 2 (Haute-Bretagne), senior member of the Institut Universitaire de France and former Visiting Professor at Harvard University. He is head of the research group on historical and comparative poetics (Groupe Phi) at the Centre d'études des langues et littératures anciennes et modernes (CELLAM) since 1999. 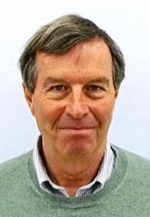 He is co-editor of the series « Littérature, histoire, politique » at Classiques Garnier and has published and edited several volumes on the state and role of literature in society and history (La Transcription de l’histoire, L’Engagement littéraire, Littérature et exemplarité, L’Autorité en littérature). Warren Motte is College Professor of Distinction in the Department of French and Italian at the University of Colorado, Boulder. Professor of French and Comparative Literature, he specializes in contemporary writing, with particular focus upon experimentalist works that put accepted notions of literary form into question. His published scholarly work includes Fables of the Novel: French Fiction Since 1990 (Dalkey Archive Press, 2003), Fiction Now: The French Novel in the Twenty-First Century (Dalkey Archive Press, 2008), and Mirror Gazing (Dalkey Archive Press, 2014). In 2015, he was named Chevalier dans l’Ordre des Palmes Académiques. Jacques Neefs is the James M. Beall Professor of French Literature in the Department of German and Romance Languages and Literatures at Johns Hopkins University. He is the director of the Centre d’Excellence Louis Marin at Johns Hopkins, supported by the French Embassy. He specializes in 19th and 20th-century French literature, in particular the links between literature and history, literature and sciences, and literature and knowledge. 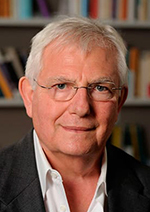 His publications include Balzac, l’éternelle genèse (Presses Universitaires de Vincennes, 2015) and Savoirs en Récits II: Éclats de savoirs-- Balzac, Nerval, Flaubert, Verne, Les Goncourt (Presses Universitaires de Vincennes, 2010). 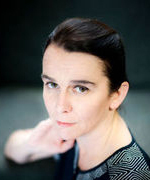 Tiphaine Samoyault is Professor of Comparative Literature at the Université Sorbonne Nouvelle, Paris 3. She is known for her work as a translator, literary critic, as well as regular contributor and former co-editor of La Quinzaine littéraire. Author of numerous essays and novels including La Montre cassée, forme et signification d'un motif dans les arts du temps (Verdier, 2004), Météorologie du rêve (Le Seuil, 2000), Les Indulgences (Le Seuil, 2003), La Main négative (Argol, 2008), Bête de cirque (Le Seuil, 2013), her latest book Barthes: A Biography (720 pp), originally published by Le Seuil in 2015, was just released by Polity books. Véronique Taquin is a novelist (Un roman du réseau), experimental filmmaker (Bartleby, ou les Hommes au rebut), and essayist who has written about literature, cinema (including filmmakers Eisenstein, Dreyer, Duras, and Pasolini), and socio-political issues. She was a close collaborator of philosopher Gilles Deleuze on an analysis of emotion in cinema, and her 1998 novel Vous pouvez mentir is an exploration of the media’s role in individual and social identity. Find out more : http://lejeudetaquin.free.fr/.